6th November – Does my Banana Mask look good? 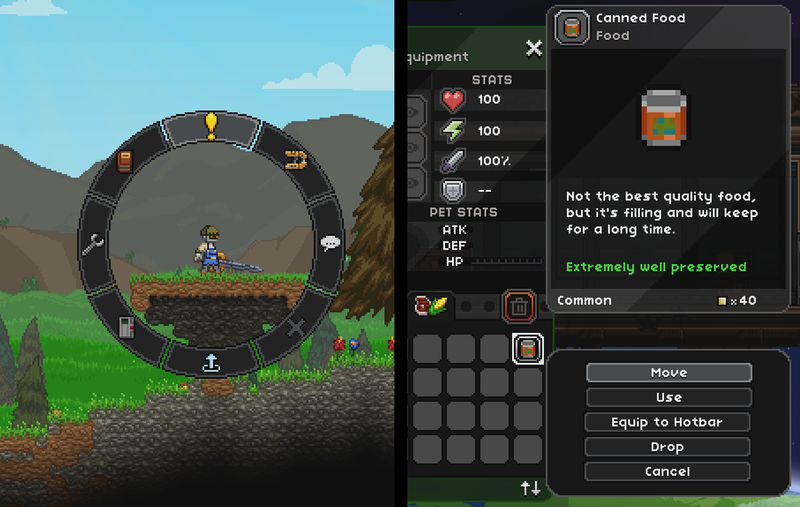 We’ve talked a lot about working on generated quests, and if you play the nightly build you may have seen some crop up in your colonies! 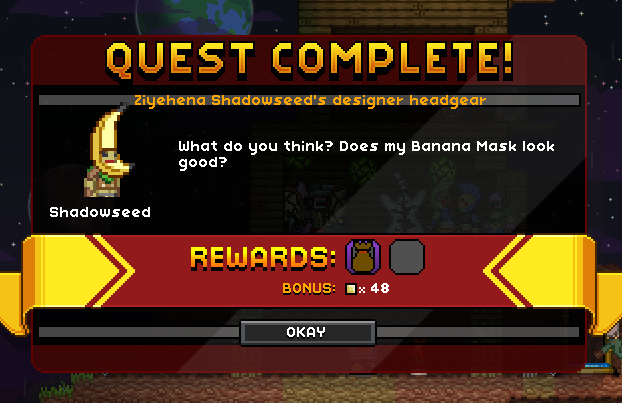 Here’s an example of a new sort of quest that will result in the questgiver wearing a new hat. 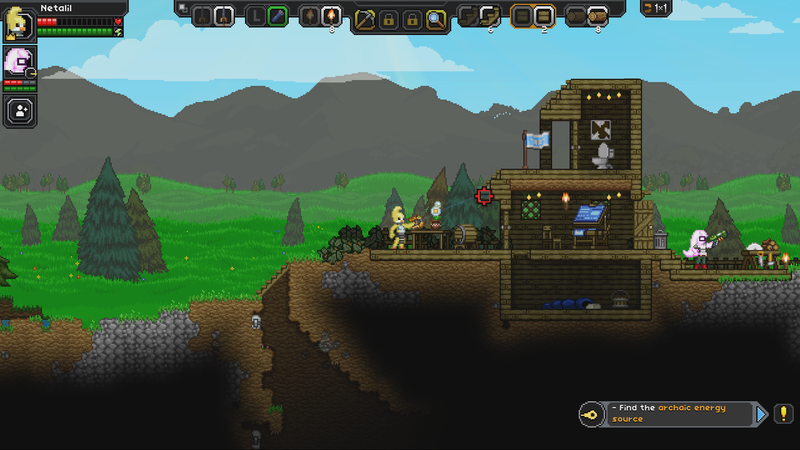 The idea is that your NPCs will be customized over time via quests.